So Briella did great throughout the day today. 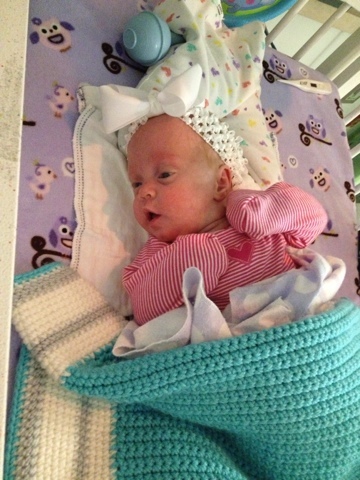 The doc came in right before her 3pm feeding & said we are a go for rooming in tonight (Wed). I was soooo excited!!! Brian & I packed up 4 months worth of baby items & souvenirs that had accumulated in her room. 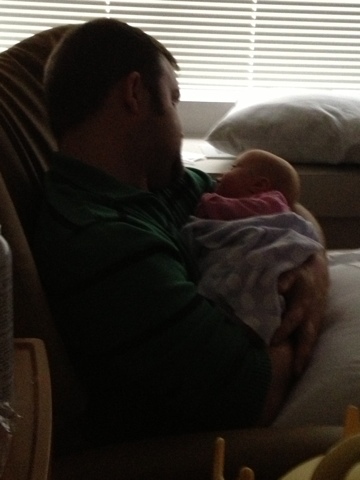 Brie usually falls asleep after her bottle, but I totally believe she felt our energy. She was so awake & looking around like what is happening. 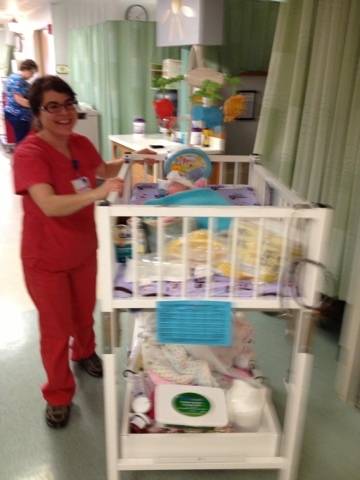 The nurse rolled her crib down the long hall to our room. I walked right next to her & was just beaming with joy/excitement/anxiousness & she was just enjoying her ride. The room is similar to a hotel room, has a microwave & fridge. It is nice that I can just grab the milk and warm it up without going anywhere to get it! Before, it is in a locked area that only staff can go. It's treated just like a prescription that way milk does not get to the wrong baby! I was so excited to show her the snow so the 1st thing I did when we got to the room is opened the blinds. She just stared so intently. She hasn't had a widow since she switched rooms, and she was in a lower bed. Now she's up higher & I think could really see. She stayed awake through her 6pm feeding. I couldn't get her to go to sleep! I tried lights on, lights off, medium lights on, bathroom lights on. I tried her mobile. I sang & rocked. As soon as I would put her down in the crib she would just be so awake. It finally dawned on me that it is probably too quiet for her! 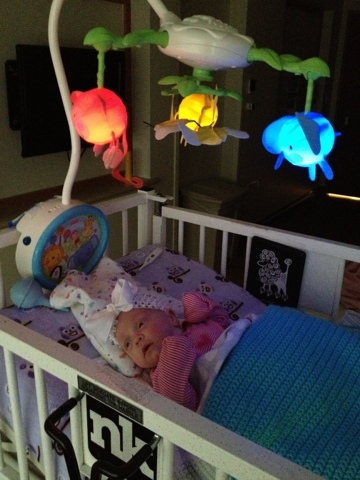 She is used to constant alarms & beeping equipment & other babies screaming & people talking. So I flipped through some music stations on the tv & decided to try out jazz. 5 minutes later she was asleep! 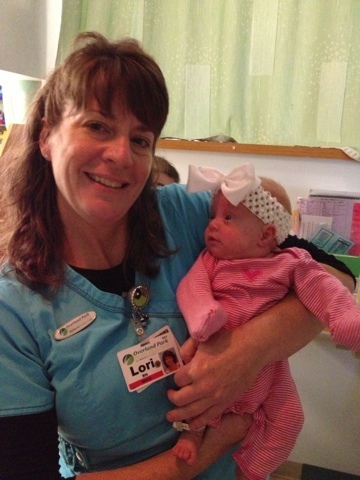 I am having fun figuring lil missy out & can wait to be home so we can add big sister to the mix. I just cannot wait until my 2 girls can snuggle. Life will be great. Life is great. Thank The Lord!